I’ve got two longer more wordy posts in a half finished condition this week, so rather than rush them out unfinished I’m afraid it’s another gallery this week. 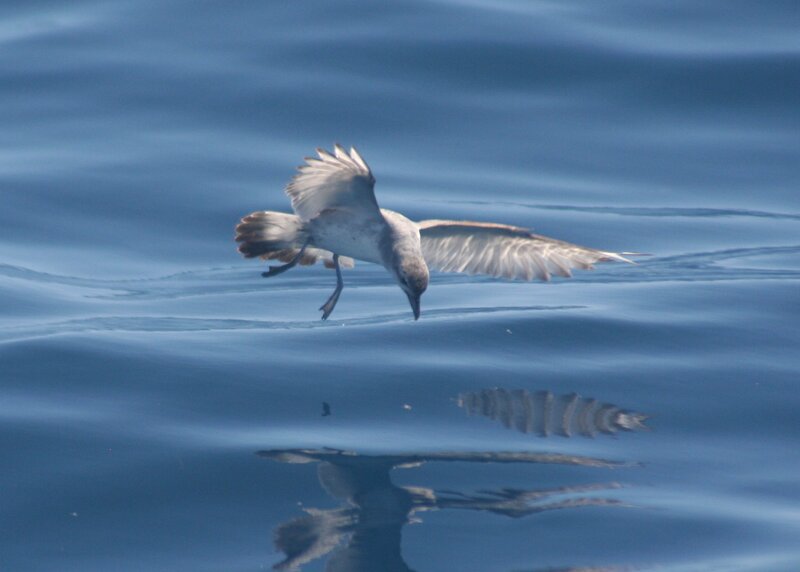 This week’s bird is one I briefly mentioned two weeks ago, the Fairy Prion. 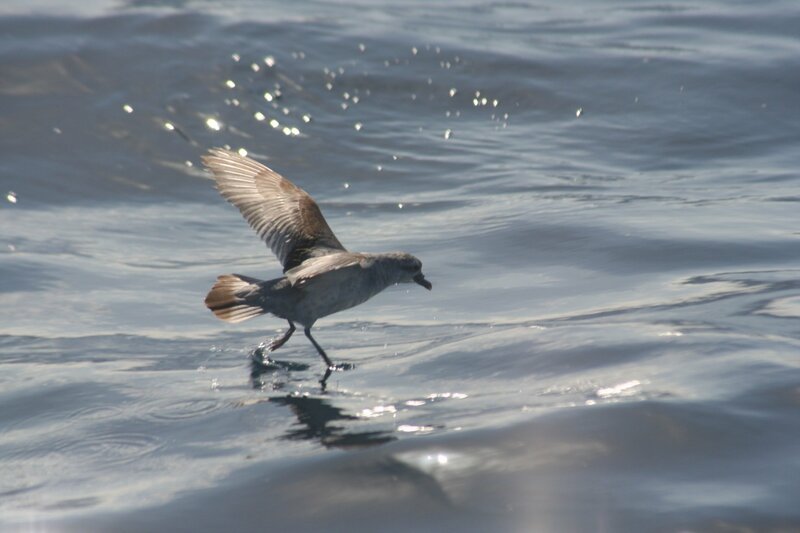 Unlike the poor Broad-billed Prions we had washed onshore last month, I saw these prions at sea, where they belong. 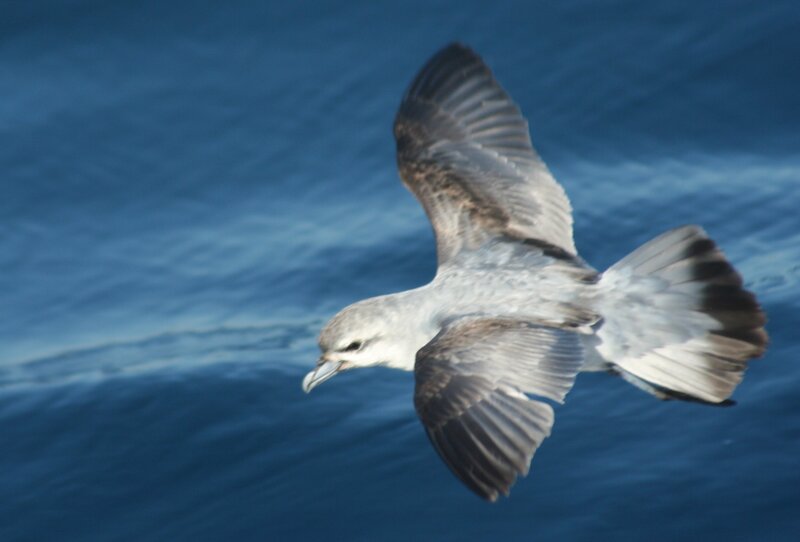 In fact I first saw this species off the ferry to South Island a number of Christmases ago, but these particular beauties were seen on my pelagic trip off Northland. Fairy Prions are probably the most common prion found in New Zealand, and breed from the subAntarctic islands to the south of Stewart Island to Northland. As much as 50% of the world’s population breeds here, with the majority of the rest of the population breeding in southern Australia, with smaller populations in the islands of the southern Indian and Atlantic Oceans. 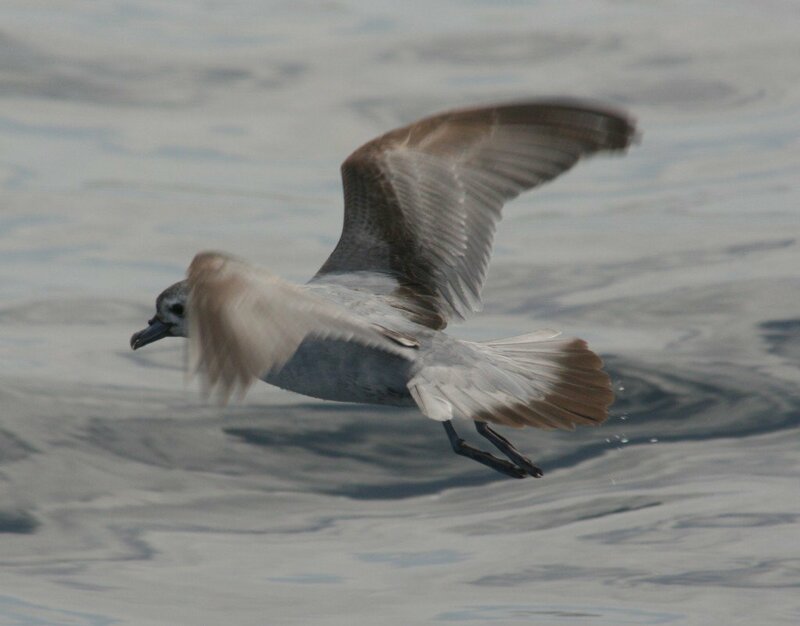 A Fairy Prion (Pachyptila turtur) with the distinctive wing pattern the genus has. 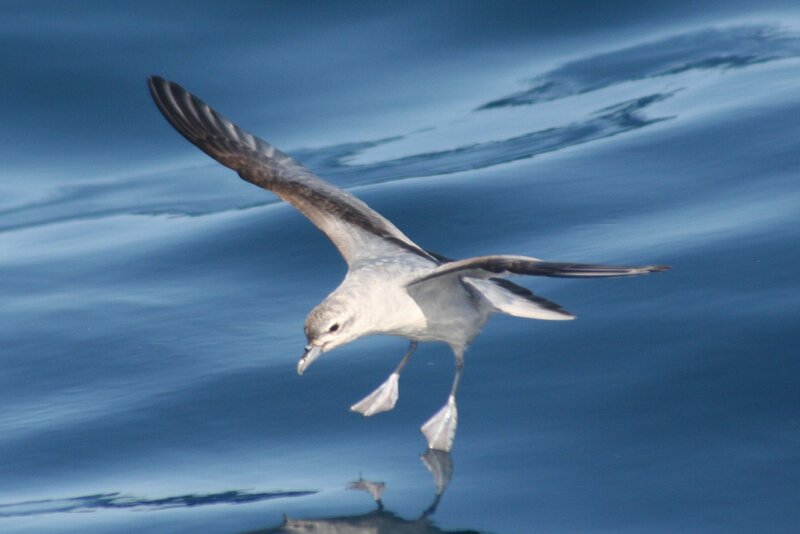 The tail is spread, showing the black tip which can be a useful diagnostic feature in some species of prion. Some more views of that distinctive M-shaped wing pattern. 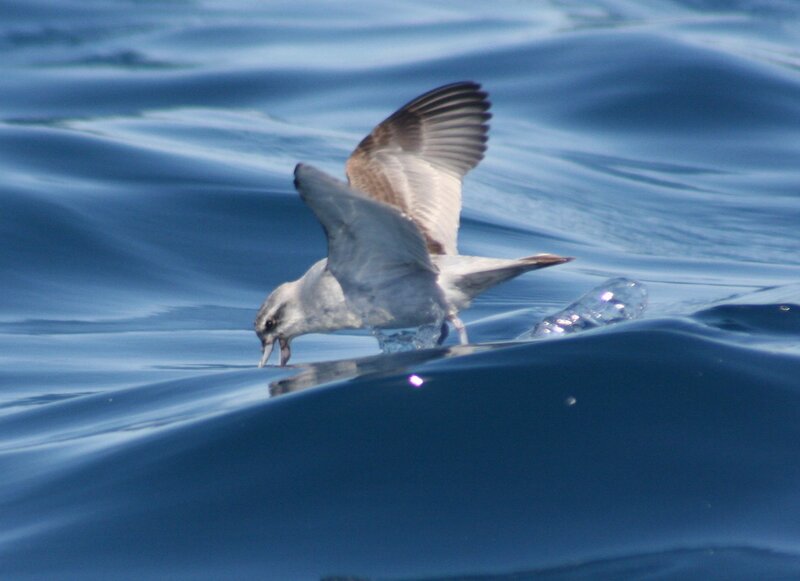 Fairy Prions have much smaller bills than some of the larger prions, and feed more by selective surface dipping and snatching than the more indiscriminate hydroplaning and filter-feeding of the larger species. 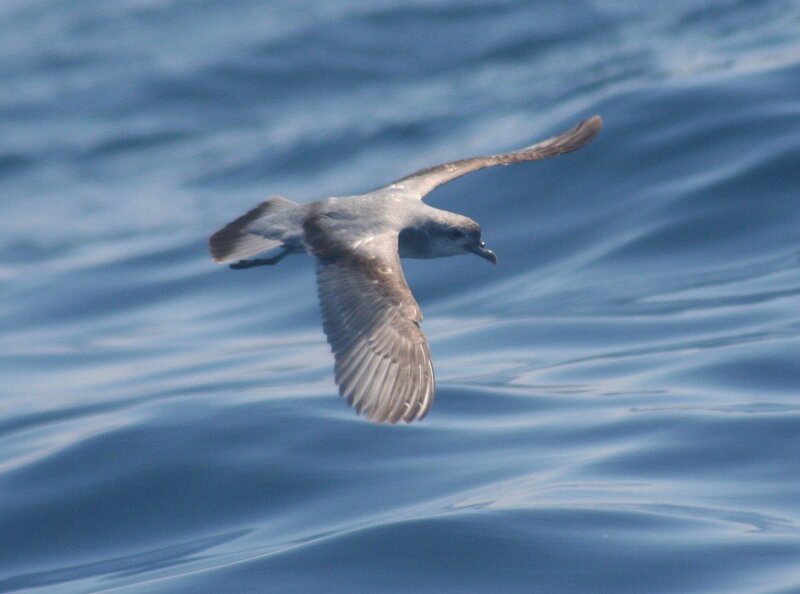 The ones we saw rarely sat on the water, instead pattered on the surface in the manner of a storm-petrel. About to plunge down to grab a morsel. Snatching a morsel. This shot shows the gular pouch underneath the bill quite well.